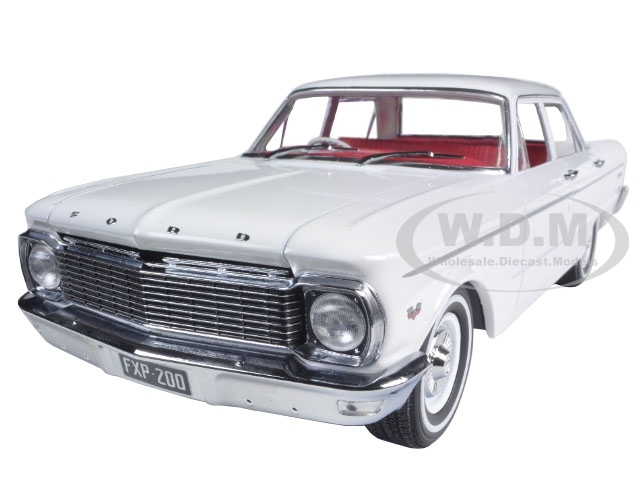 Brand new 1:18 scale diecast car model of 1965 Ford XP Falcon White 50th Anniversary Limited to 1250pc with Certificate of Authenticity die cast car model by Greenlight.Brand new box.Rubber tires.Made of diecast metal.This car doesnt have any openings.Detailed interior exterior engine compartment.Dimensions approximately L-10.5 W-4.5 H-3.5 inches.1965 Ford XP Falcon White 50th Anniversary Limited to 1250pc with Certificate of Authenticity 1/18 Diecast Car Model by Greenlight. 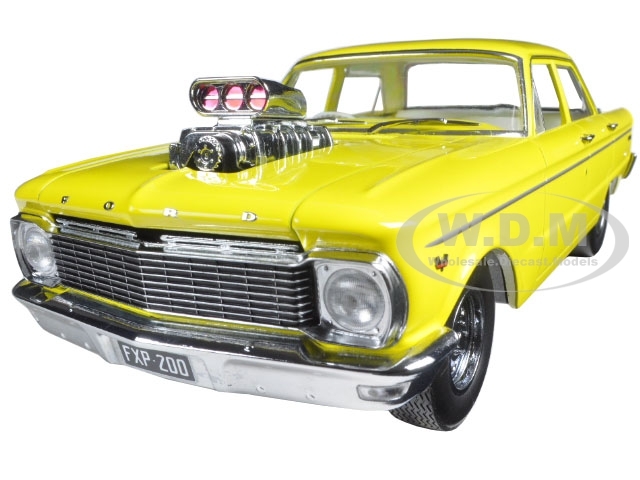 Brand new 1:18 scale diecast car model of 1965 Ford XP Falcon Yellow 50th Anniversary Limited Edition with Engine Blower die cast car model by Greenlight.Brand new box.Rubber tires.Made of diecast metal.This car doesnt have any openings.Detailed interior exterior engine compartment.Dimensions approximately L-10.5 W-4.5 H-3.5 inches.1965 Ford XP Falcon Yellow 50th Anniversary Limited Edition with Engine Blower 1/18 Diecast Model Car by Greenlight. 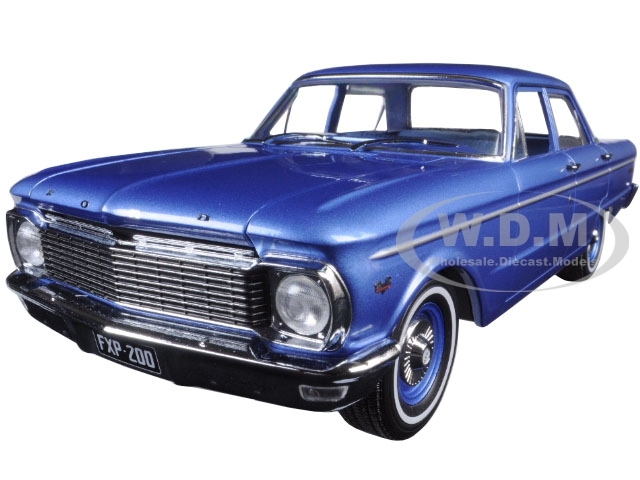 Brand new 1:18 scale diecast car model of 1965 Ford XP Falcon Blue 50th Anniversary die cast car model by Greenlight.Brand new box.Rubber tires.Made of diecast metal.This car doesnt have any openings.Detailed interior exterior engine compartment.Dimensions approximately L-10.5 W-4.5 H-3.5 inches.1965 Ford XP Falcon Blue 50th Anniversary 1/18 Diecast Model Car by Greenlight. 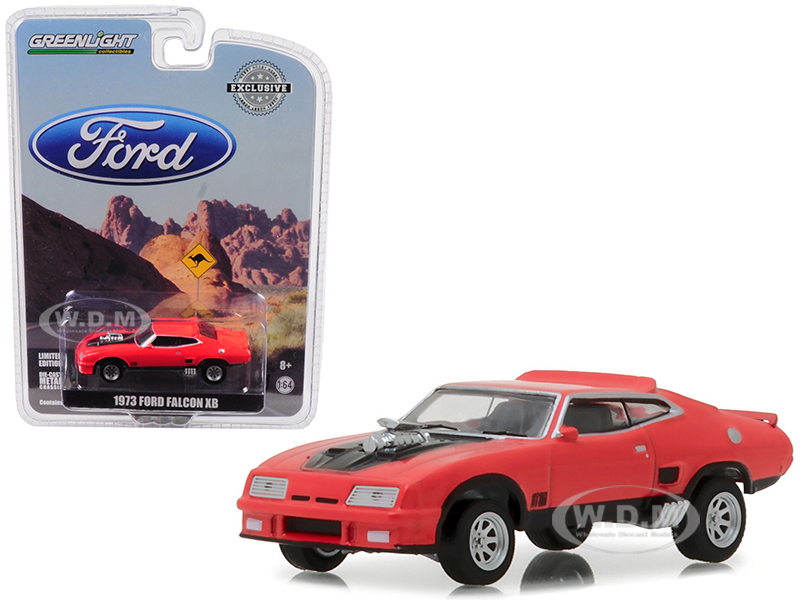 Brand new 1:64 scale car model of 1973 Ford Falcon XB Red Pepper with Black Stripe Hobby Exclusivedie cast model car by Greenlight.Limited edition.Brand new box.Real rubber tires.True-to-scale detail.Authentic decoration.Metal body and chassis.Detailed interior exterior.Comes in a blister pack.Officially licensed product.Dimensions approximately L-2.5 inches long. 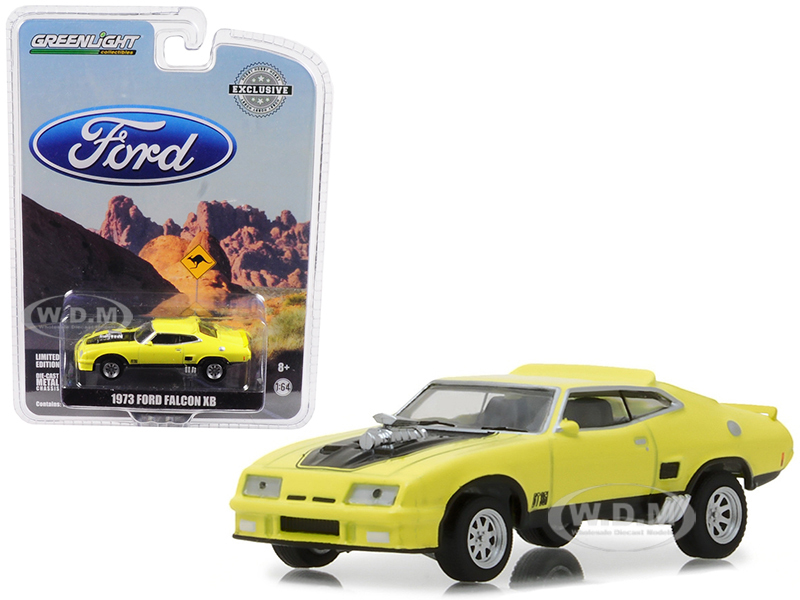 Brand new 1:64 scale car model of 1973 Ford Falcon XB Yellow with Black Stripe Hobby Exclusivedie cast model car by Greenlight.Limited edition.Brand new box.Real rubber tires.True-to-scale detail.Authentic decoration.Metal body and chassis.Detailed interior exterior.Comes in a blister pack.Officially licensed product.Dimensions approximately L-2.5 inches long. 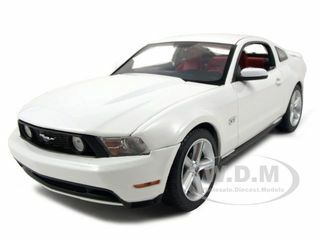 Brand new 1:18 scalediecast 2010 Ford Mustang GT CoupePerformance White with Brich red interior with cashmere white seat stripes by Greenlight.Has steerable wheels.Brand newbox.Rubber tires.Made of diecast with someplastic parts.Detailed interior exterior engine compartment.Dimensions approximately L-10 W-4 H-3.5 inches.2010 Ford Mustang GT Coupe Performance White with Brich Red Interior With Cashmere White Seat Stripes 1/18 Diecast Car Model by Greenlight. 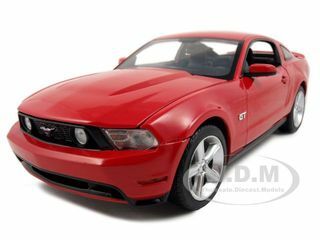 Brand new 1:18 scalediecast 2010 Ford Mustang GT Coupe Torch Red with Charcoal black interior with Cashmere white seat stripesby Greenlight.Has steerable wheels.Brand newbox.Rubber tires.Made of diecast with someplastic parts.Detailed interior exterior engine compartment.Dimensions approximately L-10W-4H-35 inches2010 Ford Mustang GT Coupe Torch Red by Greenlight. 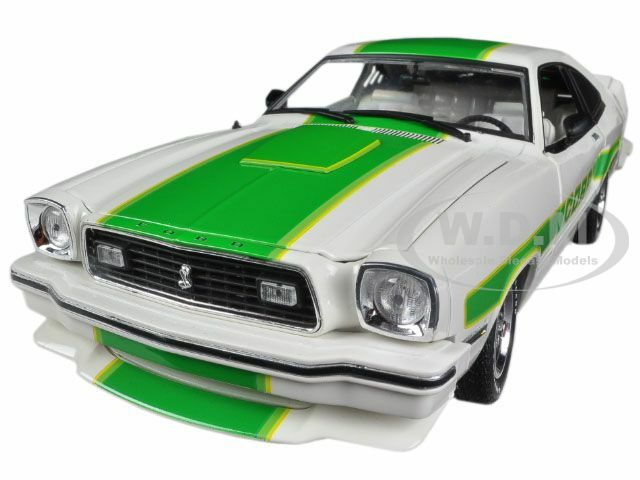 Brand new 1:18 scale diecast car model of 1978 Ford Mustang II Cobra II Free Wheelin White with Green Billboard Stripes die cast car model by Greenlight.Brand new box.Rubber tires.Has steerable wheels.Made of diecast metal.Detailed interior exterior.Dimensions approximately L-10.5 W-4.5 H-3.75 inches.1978 Ford Mustang II Cobra II Free Wheelin White with Green Billboard Stripes 1/18 Diecast Car Model by Greenlight. Rubber tires.Brand newbox.Limited Edition.Detailed interior exterior.Dimensions approximately L-5 inches long.2015 Ford Transit (V363) Oxford White 1/43 Diecast Car Model by Greenlight. Brand new 1:18 scale diecast model of 1965 Ford Shelby Mustang GT350R With Racing Engine Matt Black die cast model car by Shelby Collectibles.Has steerable wheels.Brand new box.Rubber tires.Made of diecast with some plastic parts.Detailed interior exterior engine compartment.Dimensions approximately L-10.5 W-4 H-3.5 inches.1965 Ford Shelby Mustang GT350R With Racing Engine Matt Black 1/18 Diecast Car Model by Shelby Collectibles. 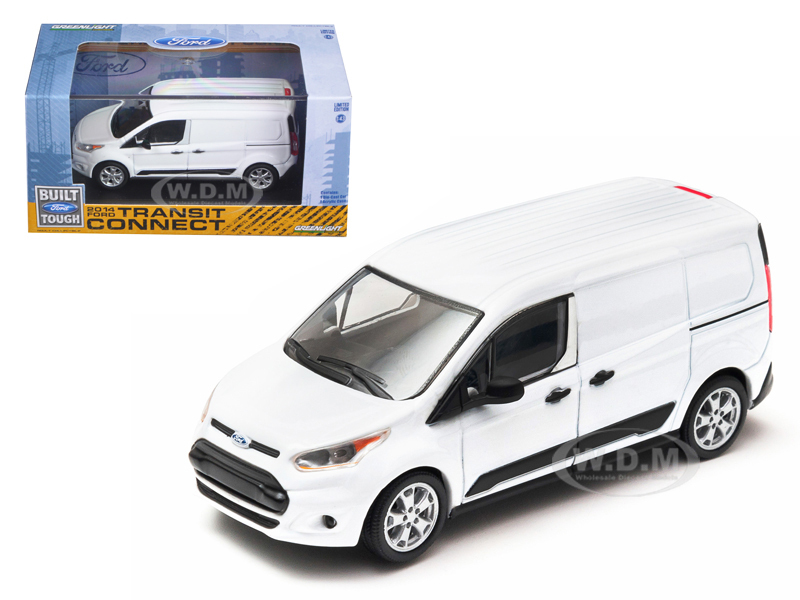 Brand newbox.Limited Edition.Detailed interior exterior.Comes in plastic display showcase.Dimensions approximately L-5 inches long.2014 Ford Transit Connect (V408) White 1/43 Diecast Car Model by Greenlight. 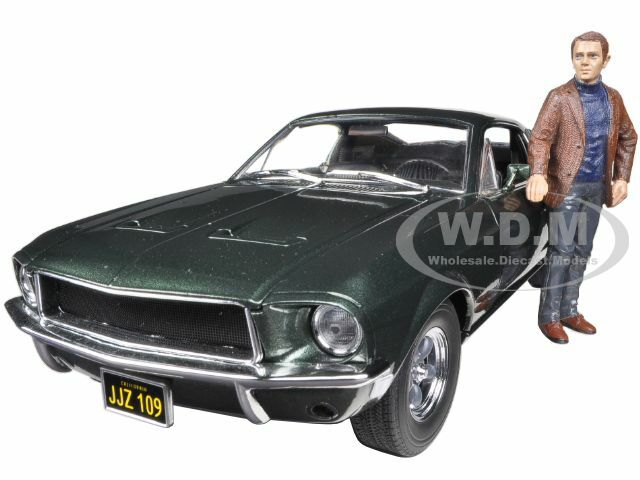 Brand new 1:18 scale diecast car model of 1968 Ford Mustang GT Fastback "Bullitt" Highland Green with Steve Mcqueen Figure die cast car model by Greenlight.Customized movie themed packagingFigure is officially approved by the Chadwick McQueen and The Terry McQueen Testamentary TrustLimited Edition 1:18 combo releaseTrue-to-scale detailSerialized chassisBrand new box.Rubber tires.Has steerable wheels.Made of diecast metal.Detailed interior exterior engine compartment.Dimensions approximately L-10.5 W-4.5 H-3.5 inches.1968 Ford Mustang GT Fastback "Bullitt" Highland Green with Steve Mcqueen Figure 1/18 Diecast Car Model by Greenlight. 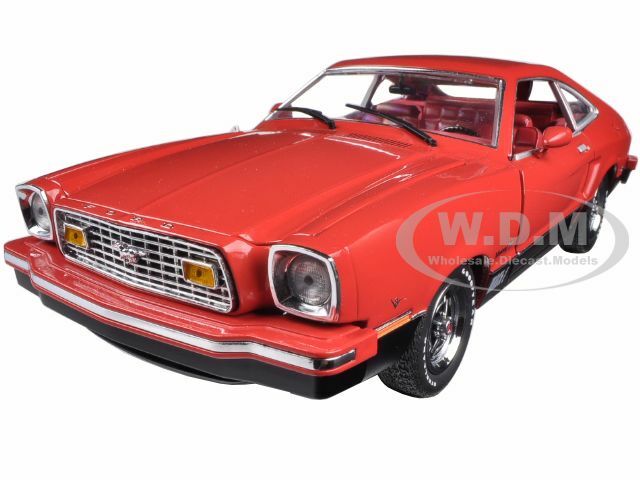 Brand new 1:18 scale diecast model car of 1976 Ford Mustang II Mach 1 Red with Black die cast model car by Greenlight.Brand new box.Rubber tires.Wheels roll and steer.Made of diecast with some plastic parts.Detailed interior exterior engine compartment.Dimensions approximately L-10 W-4 H-3.5 inches.1976 Ford Mustang II Mach 1 Red with Black 1/18 by Greenlight. Brand new 1:18 scalediecast model car of 1978 Ford Mustang II King Cobra White die cast model car by Greenlight.Brand newbox.Rubber tires.Has steerable wheels.Opening doors hood and trunk.Made of diecast with someplastic parts.Detailed interior exterior engine compartment.Dimensions approximately L-10 W-4 H-3.5 inches. 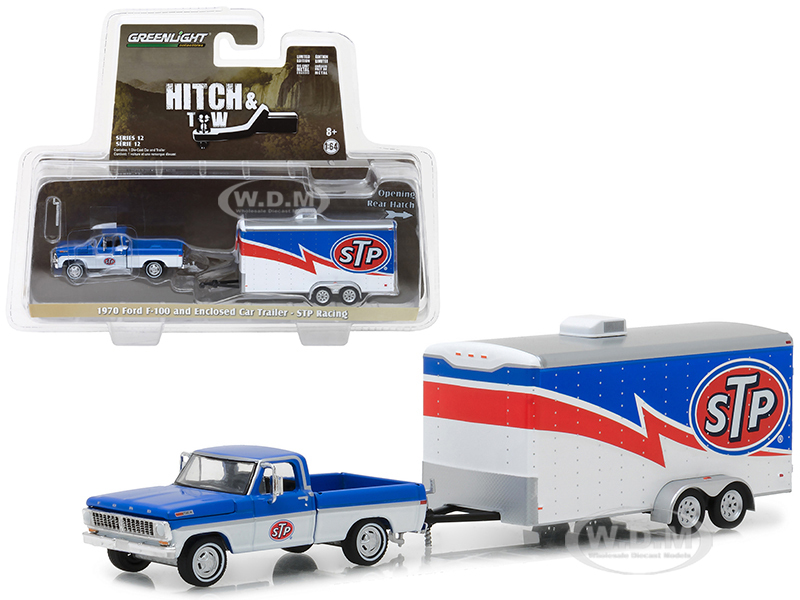 Brand new 1:64 scale car model of 1970 Ford F-100 and Enclosed Car Trailer STP Racing Hitch & Tow Series 12 die cast car model by Greenlight.Metal body.Limited edition.Diecast chassis.Rear rubber tires.Opening rear hatch.Detailed interior exterior.Comes in a blister pack.Officially licensed product.Dimensions approximately L-7 inches long.All trailers come with corkscrew jacks for stand-alone display. Brand new 1:18 scale car model of 1976 Ford Mustang II Stallion Yellow / Black diecast car model by Greenlight.Rubber tires.Brand new box.Has steerable wheels.Detailed interior exterior.Dimensions approximately L-10.5 W-4.5 H-3.5 inches.1976 Ford Mustang II Stallion Yellow / Black 1/18 Diecast Car Model by Greenlight. 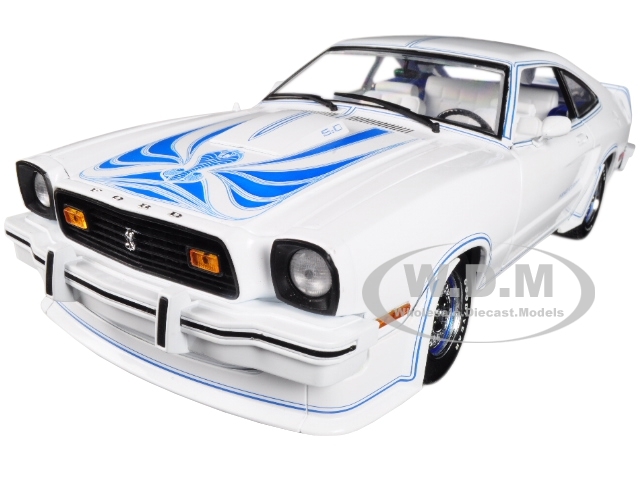 Brand new 1:18 scale car model of 1976 Ford Mustang II Stallion Silver / Black diecast car model by Greenlight.Rubber tires.Brand new box.Has steerable wheels.Detailed interior exterior.Dimensions approximately L-10.5 W-4.5 H-3.5 inches.1976 Ford Mustang II Stallion Silver / Black 1/18 Diecast Car Model by Greenlight. Brand new 1:18 scale car model of 1978 Ford Mustang Cobra II Black "Free Wheelin" diecast car model by Greenlight.Rubber tires.Brand new box.Has steerable wheels.Detailed interior exterior engine compartment.Dimensions approximately L-10.5 W-4.5 H-3.5 inches.1978 Ford Mustang Cobra II Black "Free Wheelin" 1/18 Diecast Car Model by Greenlight. 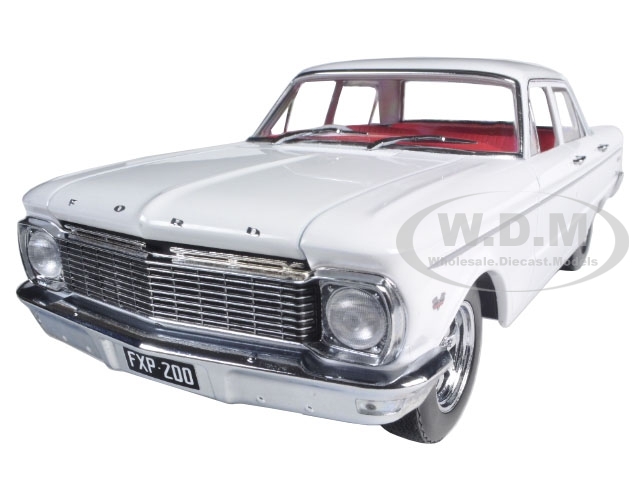 Rubber tires.Brand newbox.Limited Edition.Detailed interior exterior.Comes in plastic display showcase.Dimensions approximately L-5 inches long.1967 Ford Shelby Mustang GT500 "Eleanor" "Gone in Sixty Seconds" Movie (2000) 1/43 Diecast Car Model by Greenlight.